So many people believe that bad fortune, accidents and other troubles in life is due to black magic. The ideal solution to overcome any kind of black magic is to offer prayers to Hanuman. If you feel you are under the attack of black magic, then chant this mantra to remove the effect of black magic. This mantra should be chanted in the morning and evening daily. If this is not possible then it should chanted on Tuesday morning and Saturday morning. 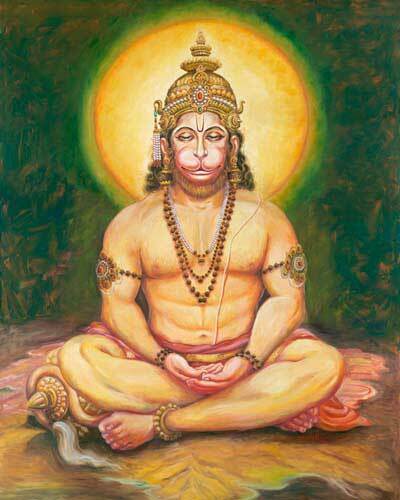 How to Chant the Hanuman Mantra to Remove Black Magic? The mantra should be chanted after taking bath in the morning and evening. The person chanting the mantra should wear red or saffron color clothes. First prayers should be offered to Ganesha in the mind. Then prayers should be offered to Bhagavan Sri Ram and Mata Sita in the mind. Next, keep a photo of Hanuman. Light lamp using desi ghee. Offer seasonal fruit or banana. Offer Sindhoor to Hanuman and the person chanting it should wear it on the forehead. Offer dhoop of a natural material. Now chant the mantra 108 times. If not possible chant it 11 times. Do this continuously for 41 days. When a person gets the strength by offering prayers to Hanuman, the person develops positive energy. This energy has the capacity to remove all kinds of negative forces including black magic. The mantra is providing the much need psychological boost to face the problems of life.